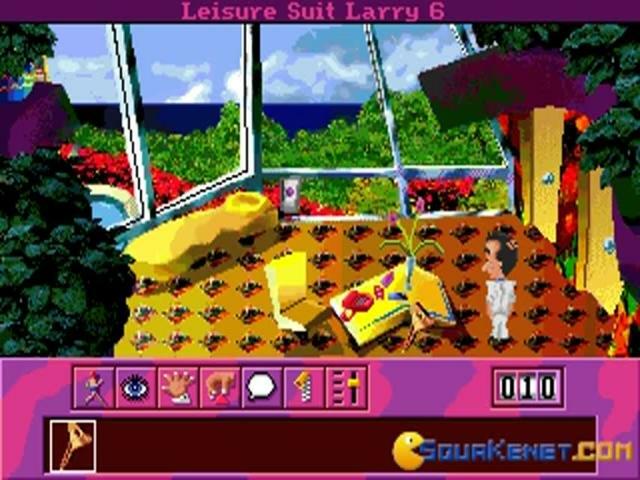 The Leisure Suit Larry series is another of Sierra's long running adventure franchises, broadly similar in style to King's Quest or Police Quest, but with a healthy amount of broad, adult humour. 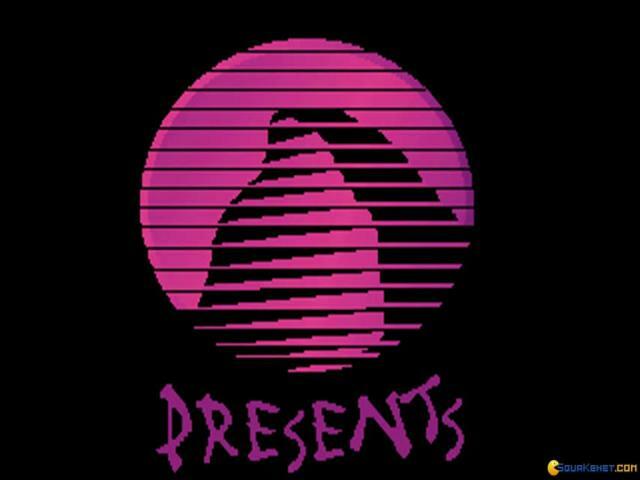 This instalment maintains the sense of fun seen in previous instalments, but focuses less on story and instead plays out more like an extended game show with a few puzzles thrown in for good measure. For those who have never been introduced to Larry, he is a loveable loser who pretty much only has one thing in mind: ladies. 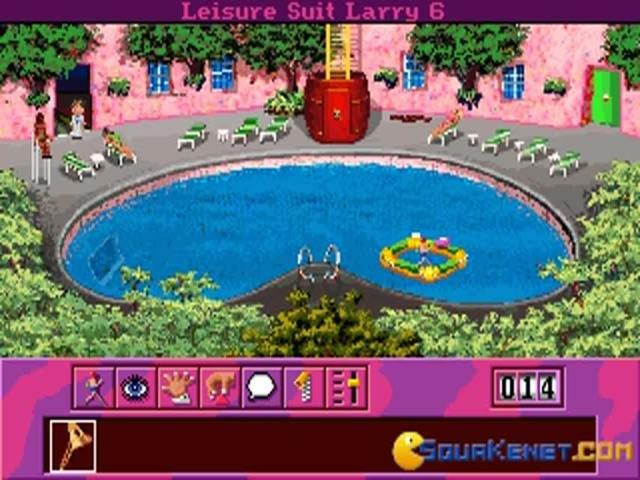 Previous games have seen him pursuing love in all kinds of places but this one takes him to a fancy health spa after winning an all expenses trip on a game show. His goal this time round is to win the heart of one of the many eligible (or not so eligible in some cases) ladies who also happen to be there. 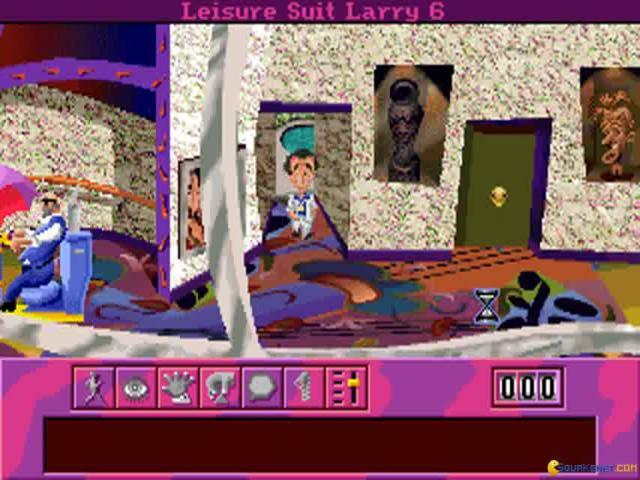 While there are traditional inventory-based puzzles which will be familiar to players of past games, there is a greater emphasis on conversations with the various potential partners which involve picking the right choices to swing them round in Larry's favour. 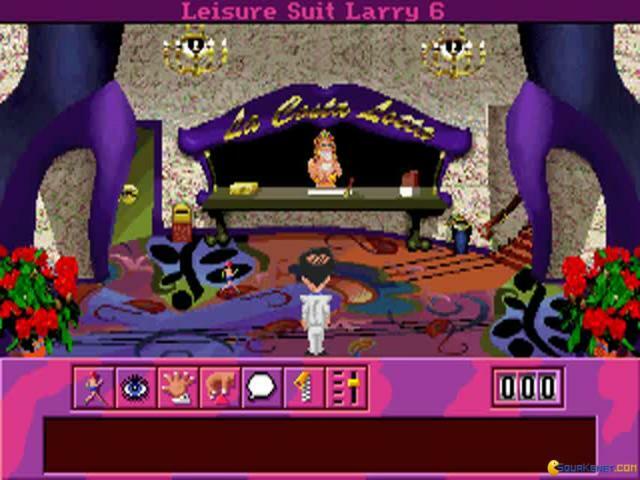 This episode in Larry's life makes for an entertaining, if slightly pointless, excursion into the adventure genre. 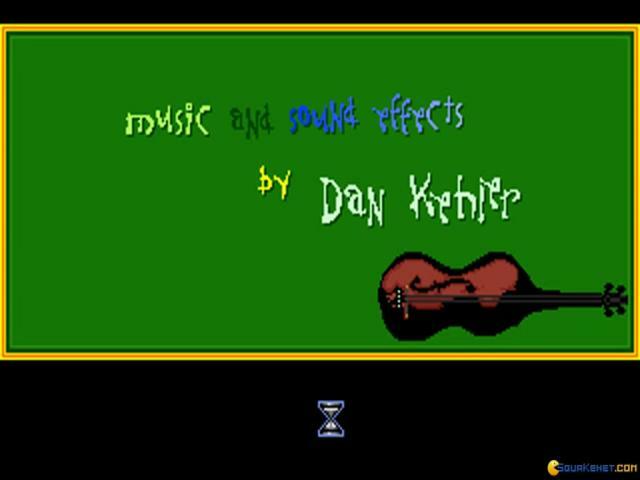 Those looking for strong narrative will be disappointed, but this is made up for by the general sense of fun that permeates the game. 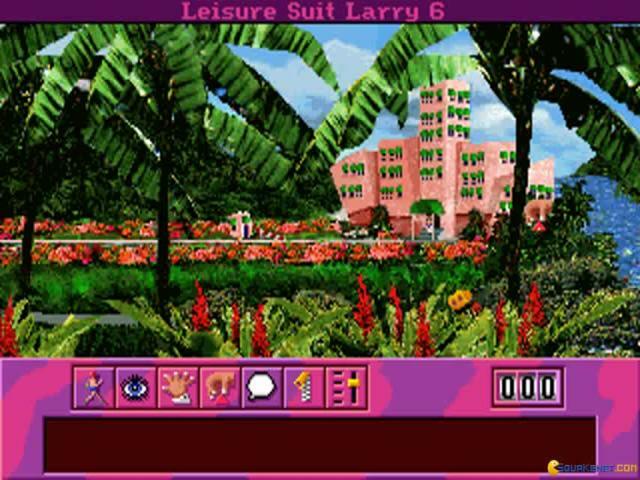 The smutty, low brow jokes and black humour of earlier games have been toned down (although Larry can still die in various amusing ways) and have been replaced by gags with broader appeal, but which are still not for kids. 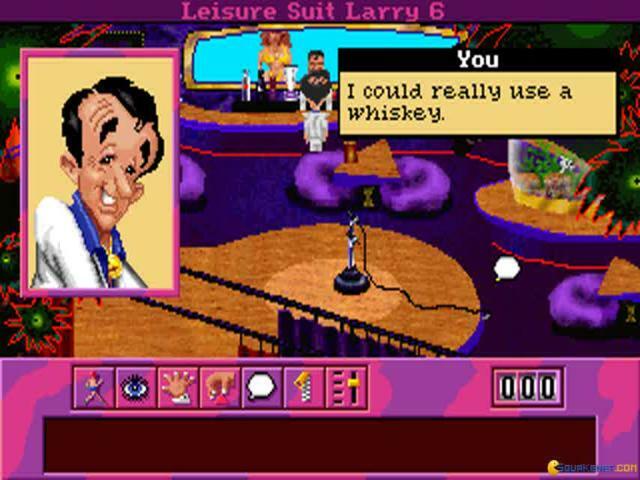 If you're looking for a bit of aimless fun, then Leisure Suit Larry 6 fits the bill and it will certainly bring a few smiles to your face. Shape Up or Slip Out! is all about looking good! 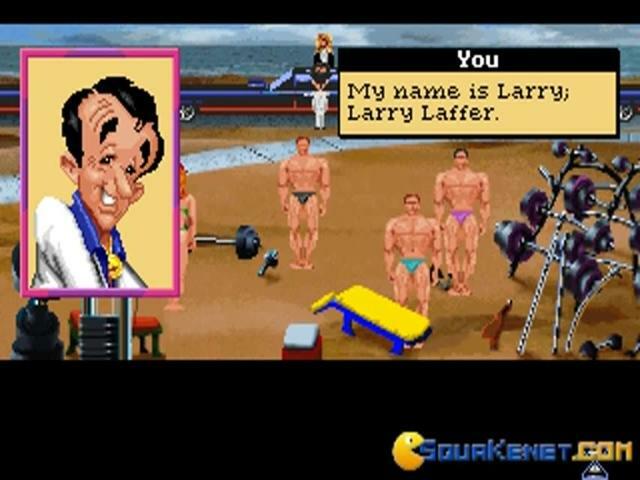 This Leisure Suit Larry game is dedicated to those of us that put a lot of emphasis on looks. And, what better way to do it, than to participate in a game show, a sort of pastiche of all the shows that are produced in and around beauty contests. 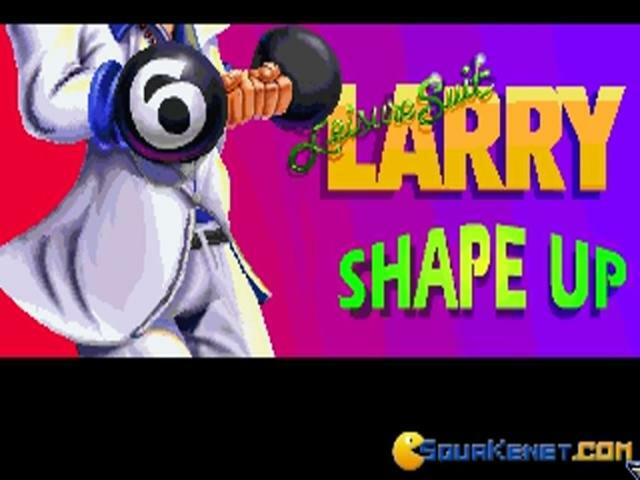 There are a lot of laughs to be had in this 6th title, and there are also lots of locations where Larry can go about to gain the favors of ladies. You will visit quite a few different locations, but a big part of the game is delivered via the in game TV show format. 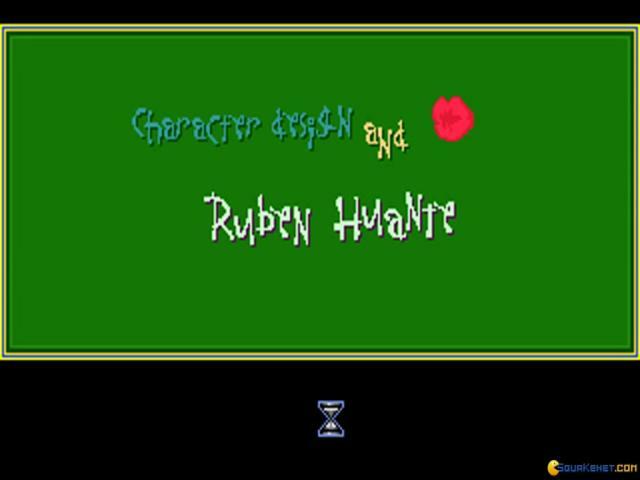 All in all, it's still a tongue in cheek funny game, with a graphical set that is a bit more advanced than older games in the series, and also with a lot of fun puzzles. 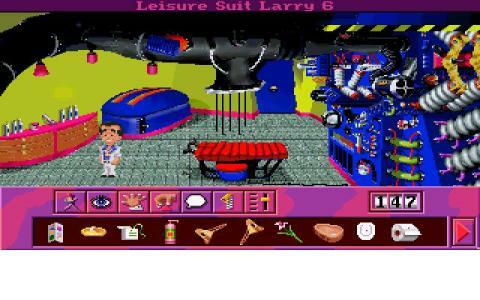 There are inventory based puzzles to last you (and obfuscate your advancement) and there are also more specific puzzles, that are repeated, which deal with some of Larry's mundane actions, if you know what I mean! Still, a very chill, not too sleazy game, and while it has lost some of its edge, it's nevertheless playable and will put a smile on your face. Download it, it will not disappoint, of that you can be sure!